As Sam Bennett sprinted to his third Giro d’Italia stage win in Rome, Richard Moore and Daniel Friebe bowed out – but not without their own bit of drama. In this final episode of The Cycling Podcast from the Giro we hear from some of the main players over the past three, thrilling weeks, including Bennett, Svein Tuft, Domenico Pozzovivo, Mike Woods, Alex Dowsett, Davide Formolo and many others. 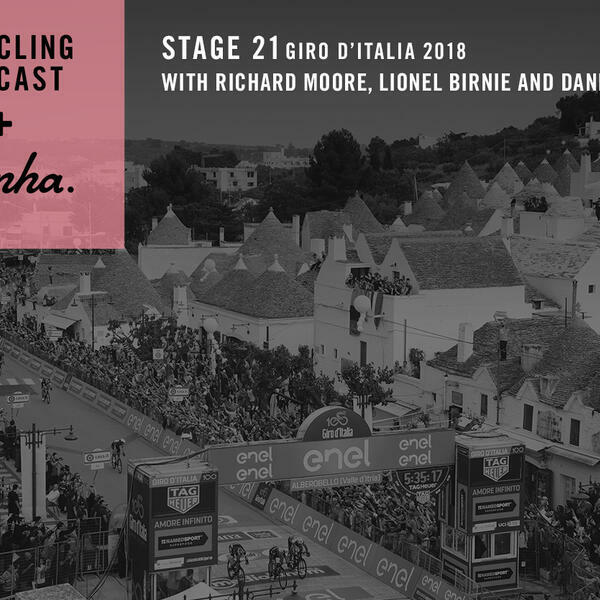 There’s also a return of podcast favourites Ciro Scognamiglio, Renaat Schotte and even Lionel Birnie, as the team reviews one of the most dramatic Grand Tours in years.